Denbury Resources is known for more than its oil and gas prowess. The industry newcomer has built a place where no employee leaves hungry and everyone dresses for Halloween. When Whitney Shelley joined Denbury, she was tasked with making the growing company stick to its small-company roots. It’s been a perfect fit for the HR veteran, who has a workforce in love with what they do. In 2009, on her first day of work as vice president and chief human resources officer at Denbury Resources, Whitney Shelley knew the company was a special place. “Every person I was introduced to told me I was going to love it here,” Shelley says. Denbury Resources is a growing independent oil and gas company and is headquartered in Plano, Texas. The company is the largest oil and natural gas producer in both Mississippi and Montana, owns the largest reserves of carbon dioxide used for tertiary oil recovery east of the Mississippi River, and holds significant operating acreage in the Rocky Mountain and Gulf Coast regions. More importantly, when Shelley looked into turnover and the career progression of Denbury employees shortly after she started, she realized something important. “It was really clear that people who came to Denbury stayed,” she says. When designing and relocating to the new headquarters, Denbury employees were allowed to vote on many items and styles for the final layout. Shelley and her team have done just that with a number of initiatives, such as an open-door policy—there are literally no office doors at the corporate office—that encourages employees to come to the human resources department with suggestions or concerns. 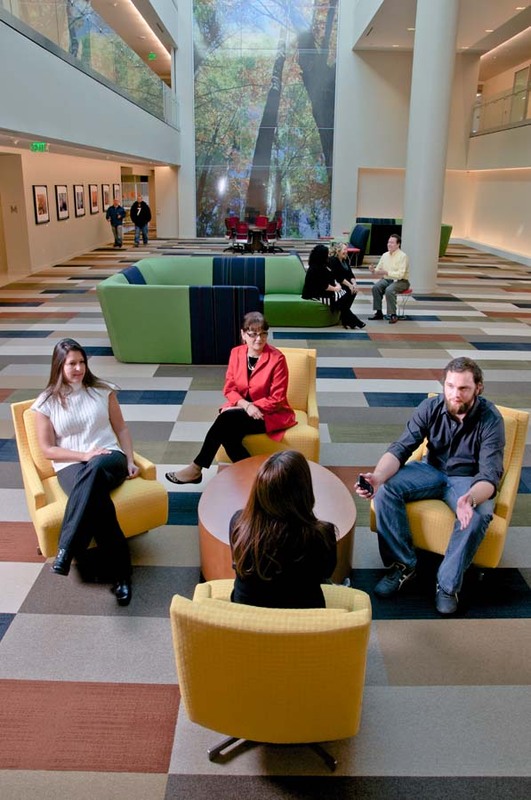 The company’s top executives also regularly meet with employees and managers over lunch. “[Employees] will ask anything from ‘Why is the stock price going up?’ to ‘Have you thought about having blueberries on the salad bar line?’” Shelley says. What makes Denbury Resources a great place to work? The walls of the facility are decorated with photography submitted by employees. Plenty of vacation pictures and portraits of employees’ children can be found next to oil-inspired images. Moreover, Denbury is the kind of place where people feel comfortable occasionally bringing their kids to work, a place where nearly everyone dresses up on Halloween, and a place where, if you need a break, you can take one in the campus courtyard, which is stocked with blankets, footballs, and Frisbees. 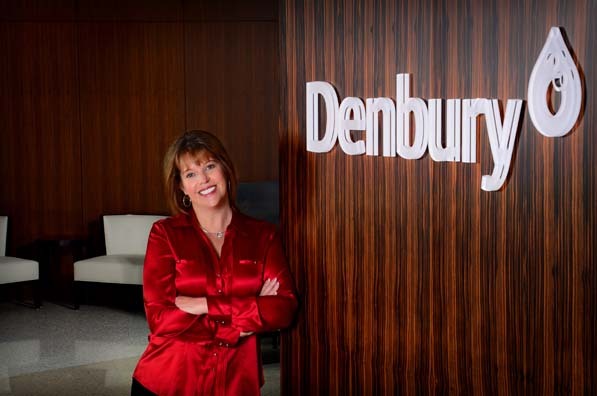 Furthermore, Denbury offers competitive benefits, such as “Pick Your Mix” annual long-term incentives offered to every employee, which strive to make employees shareholders by providing an annual dollar award commensurate to salary that the employee can apply to a variety of stock options or receive as a cash payout. Beyond this, Denbury offers vacation grants based on relevant industry or job experience and promotes career development with tuition reimbursement and its continuing-education program, Denbury University. Denbury also encourages employees to volunteer and contribute to charitable organizations, encouraging employees to take paid time off to support their preferred organizations. Shelley has held HR positions at Bank of America, Blockbuster, and FedEx, and began her career teaching computer engineering for Microsoft. While there, she began to think about the importance of a business having a compensation program that rewarded people not just for showing up to work, but also for leadership potential and driving revenue. Shelley realized human resources was the place for her. “I love the complexity of people,” she says, adding that she enjoys understanding what motivates people to succeed from a business perspective.